With the honeyed tropical overnotes of pressed Ylang Ylang, our ‘Excite’ fragrance marries exotic, citrus tones of juicy orange with soothing neroli and the earthy and woody aromas of Patchouli. The result is a captivating, smooth and vibrant aroma. Perfect to gently fragrance any room in your home all day long. 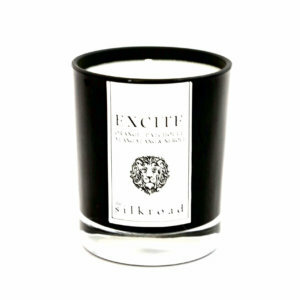 ‘Excite’ stimulates the senses with its comforting, yet energetic scent. Why not combine with our ‘Inspire’ soy wax votive for the perfect, affordable present and select our gift wrapping option at check-out for a present with presence! Our stylish rattan reed diffusers are simply packaged and contain 10 reed diffusers and a cubed glass container of high quality aromatic oil in a natural vegetable derived fluid which is free from alcohol and Glycol, finished with a simple black collar. 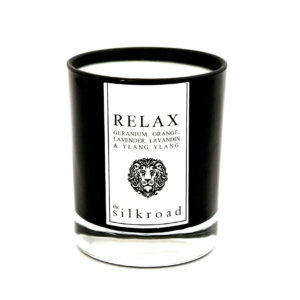 The Silkroad’s diffuser collection can be purchased in our three signature ranges of ‘Inspire’, ‘Excite’ and ‘Relax’.